Independent developer Poetic Studio has announced that it has successfully funded its Kickstarter campaign for Sacred Fire, its narrative-based, visually unique psychological RPG for PC, PlayStation 4 and Xbox One. Sacred Fire surpassed its initial funding target of $50,000 USD, and is set for release on PC in Spring 2018, and later for PlayStation 4 and Xbox One. Poetic Studio has revealed a number of new rewards and stretch goals for the remainder of its crowdfunding campaign, which is set to end on Thursday April 13th. 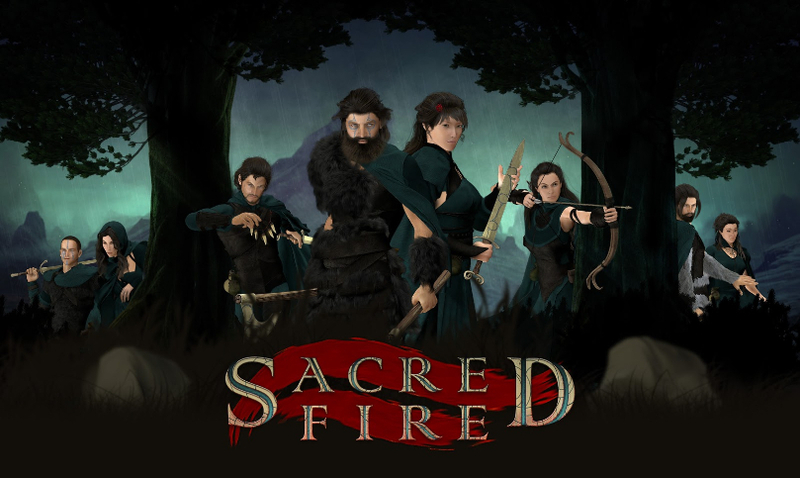 One of Sacred Fire’s strengths is its unique visual style and focus on character creation. It’s the deepest and most thought out design aspect of Sacred Fire, as it allows you to develop your own playstyle and create your own hero. The design of Sacred Fire is oriented inwards, exploring the motives, emotions and conflicts of the protagonist. In key story choices, a voice over will breathe life to the inner monologues detailing a player’s thoughts and motives. This stretch goal ads partial voice-over for the 10 main story characters: the eight potential allies and the two powerful villains. This allows character defining moments to come alive and immerse players deeper into the story. “Sacred Fire has been a labour of love for us at Poetic Studio and it has been humbling to see the response from the gaming community. With their support we are now able to deliver on our promise of a unique narrative-based RPG experience where, as we say, your heart hides all of the monsters,” says Andrej Vojtas, Creative Director, Poetic Studios.